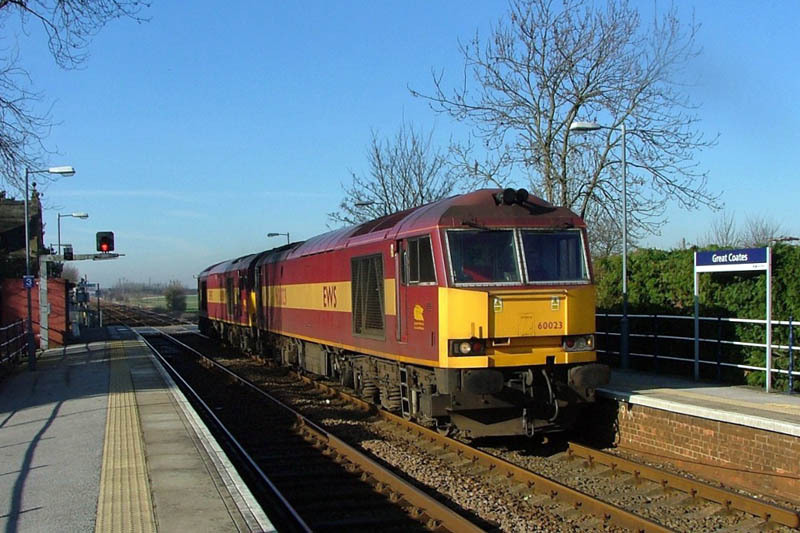 60023 and 60089 were seen passing through Great Coates station towards Marsh Junction. 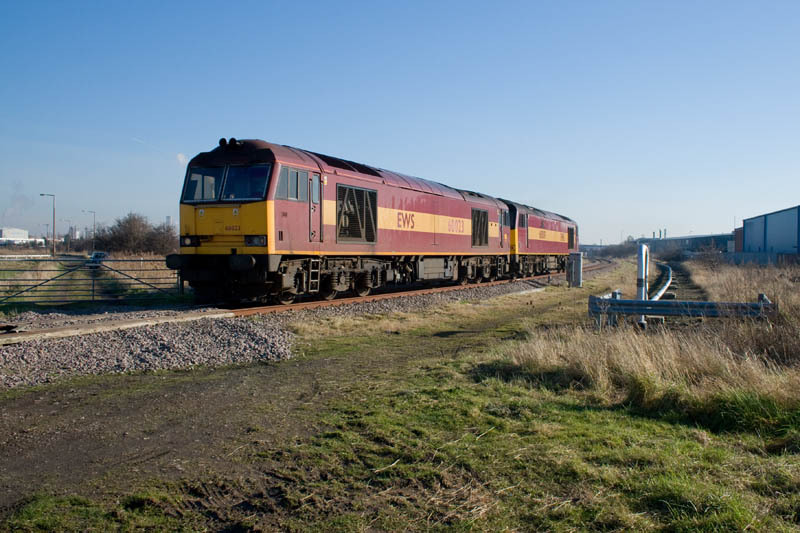 ...and are seen again at a farm crossing near Woad Lane Great Coates, travelling towards Immingham. Pyewipe Road and the Grimsby to Wrawby Jcn line. 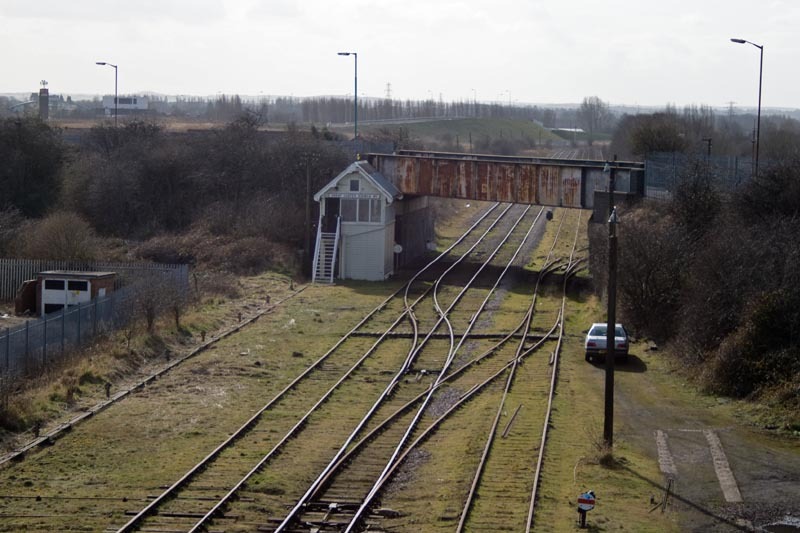 More pictures around the Grimsby - Immingham Light Railway. 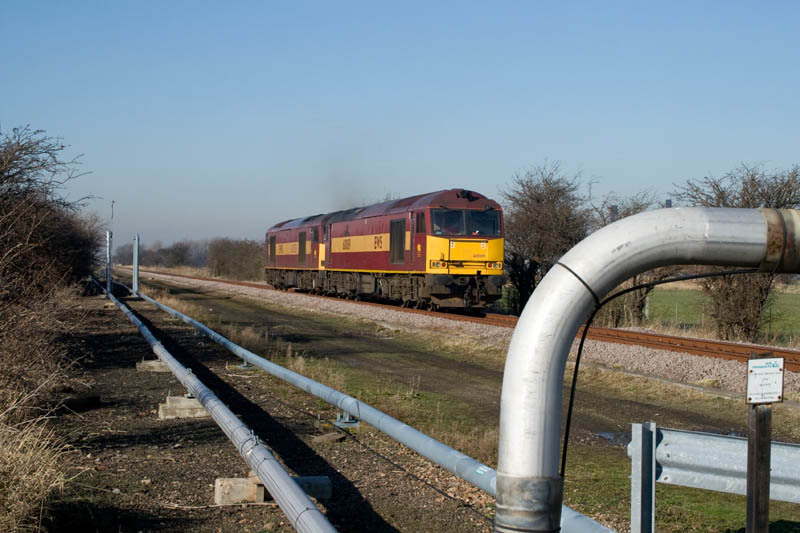 Further diversions took place on 1st & 2nd March - the latter of which was a VERY quiet Sunday! 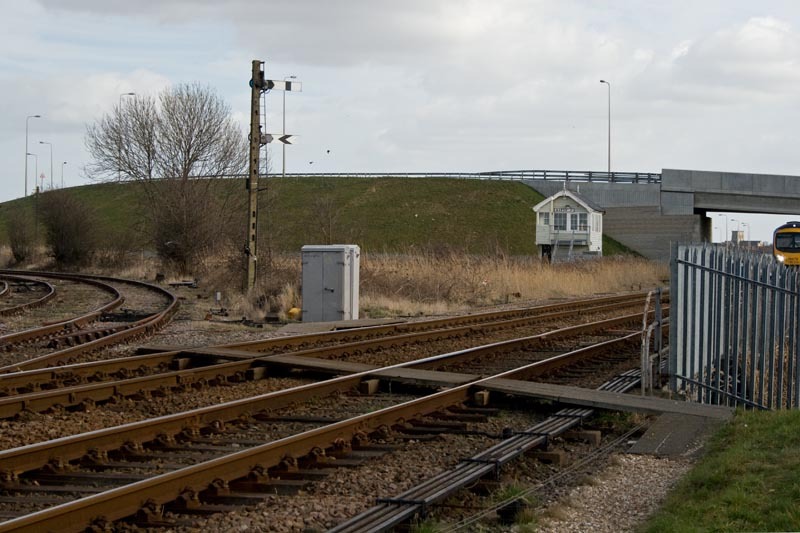 This and picture above show Marsh Junction, Grimsby, where the light railway diverges from the Wrawby Jcn to Grimsby & Cleethorpes line. 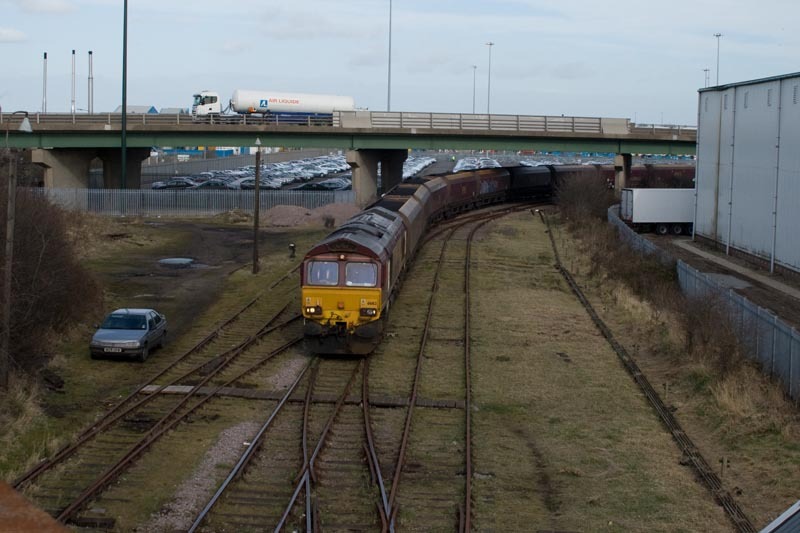 A Manchester Airport service can just be seen passing under bridge to new retail park (not yet open), as can St. James church in Grimsby. 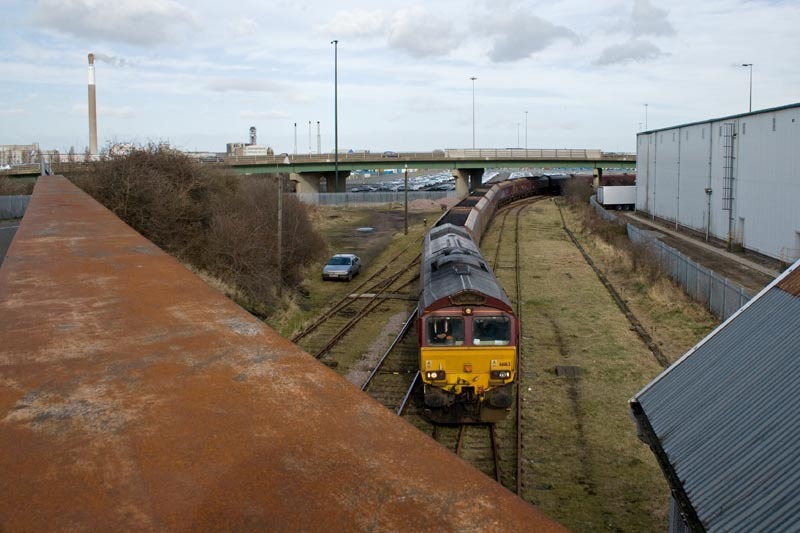 Looking towards Marsh Junction (in far distance) with Great Coates Sidings No1 box in shadow of Cleveland Bridge in Grimsby. 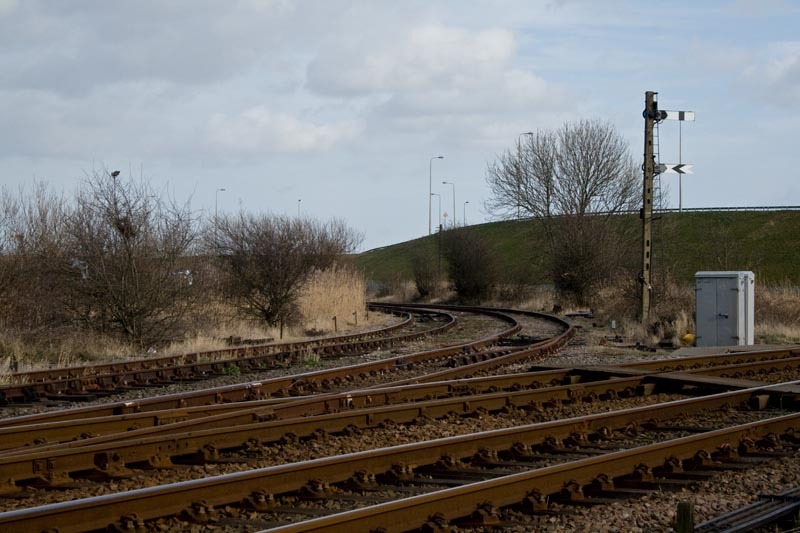 The single line from Pyewipe Road is centre road in foreground, left road being spur from Grimsby Docks West, and right being Great Coates Sidings. 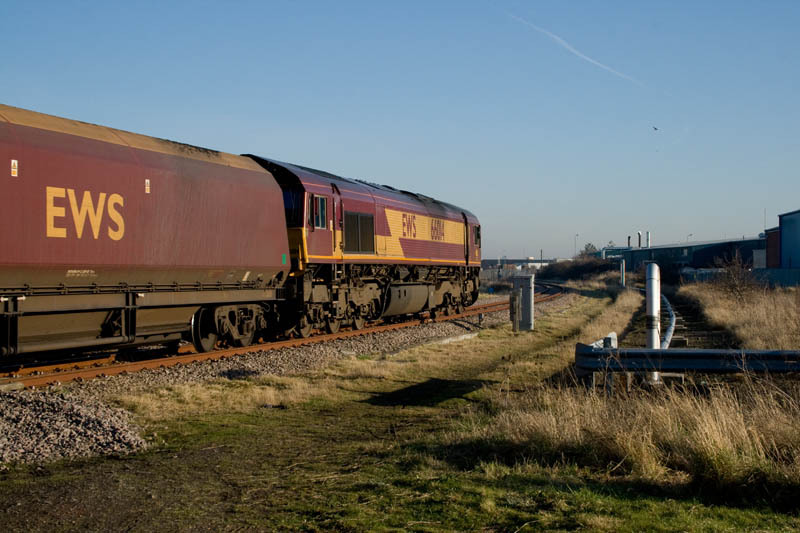 ...and takes the double track to Marsh Junction as it passes Great Coates Sidings No 1 box and Cleveland Bridge.